Dextrose is one of the simplest and fastest-acting carbohydrates available, ideal for creating an blood sugar spike post-training or for sustaining energy over long periods of endurance. Dextrose powder supplement is from corn sugar, and has a high GL (glycemic load) as well as being a high GI (glycemic index) carbohydrate. Whilst most people would consider fast carbs (particularly sugars) a food to be avoided, bodybuilders and athletes know the benefit of having a high GI carbohydrate source like dextrose monohydrate on hand. The simpler the carbohydrate, the faster is it absorbed and used by the body, which is exactly what is needed after intense training. After training, glycogen levels in the muscles and liver are depleted, and carbohydrates are necessary in order to bring them back to optimal levels. Carbohydrates are also needed in order to help shuttle proteins, amino acids, creatine and vital nutrients from post-workout nutrition into muscle cells. The molecular formula of dextrose means it reacts with the body to stimulate a fast blood sugar response and a significant spike. Stimulating the delivery molecule function in the post-workout window is important for anyone training for hypertrophy and muscle size, sports performance and lean body composition. Dextrose is taken up by the body even more quickly than maltodextrin (although we stock that, too). 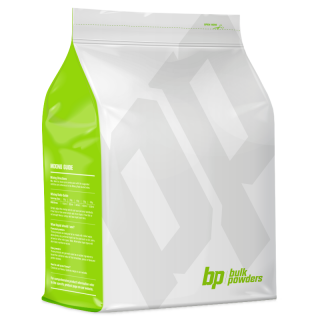 Many bodybuilders, athletes, strength and power athletes like to use a 50/50 blend of dextrose and maltodextrin as a highly effective carbohydrate source. Dextrose monohydrate powder is very user-friendly and can be mixed with creatine, amino acids, protein shakes to create a bespoke carbohydrate solution for post-workout. It can also be used at any time during the day to provide an easy, fast source of carbohydrates according to your macronutrient requirements. It represents an efficient, simple and very cost-effective way of supplementing your carbohydrate intake. High GI, fast acting carbohydrate, blood sugar spike, nutrient absorption. Dextrose monohydrate is one of the fastest acting carbohydrate sources, absorbed quickly by the body and creating a very fast blood sugar spike response (in sulin spike), particularly useful for the post-workout window. It helps carry nutrients, amino acids and proteins in post-workout nutrition directly to muscle cells for optimum absorption. Sweeter than sugar and faster acting than maltodextrin, dextrose monohydrate should be used strategically, in specific doses, to meet your macronutrient needs. Ideal for bodybuilders, athletes and anyone who trains intensely and is ready to use clever sports nutrition strategies to optimise their lean body composition. As a dietary supplement, mix 40g dextrose monohydrate powder with 300ml of desired liquid and drink post-workout, before training, intra (during) training or as required during the day. You can mix dextrose monohydrate with your creatine, amino acids, BCAAs and protein powders to suit your sports supplement requirements. Adding dextrose to other supplements will increase their absorption. 2 x flat 30ml scoops provide an estimated 40g serving. Scoop is included in package. Used this for a three week elemental diet (for IBS, SIBO) combined with macadamia oil and pea protein. A solid dextrose / glucose. Use this after training with the WPI. Mixes super easy and had saved me time and given my body exactly what is needs after a hard training session. Highly recommend taking this during or post workout. Since adding this to my protein shake post workout my sugar craving has almost stopped. No late night chocolate cravings. :) I can defiantly feel the difference in recovery and appetite since adding dextrose to my program. no taste! Great tasting way to add extra calories to your shakes, and spike insulin pre-workout. Great tasting way to add calories! Easy to mix, great tasting way to increase calorie intake post workout to improve gains. It does make the drink slightly sweeter but I do not mind the extra flavour! Hi, my name is Dr Juan Carlos Cassano (PhD, Biochemistry) and I have been using Dextrose Monohydrate with Creatine Monohydrate post workout to enhace my powerlifting and bodybuilding strength and muscle gains. Together, the combination is great tasting, and mixes quickly and easily, without much of a grainy feeling in your mouth. Importantly, since I started supplementing with these, I have found my recovery rates have enhanced dramatically and my energy restored so that I am ready to tackle another workout the next day (or even that afternoon!). I find that dextrose monohydrate from bulkpowders is a fantastic delivery system for Creatine Monohydrate for increased strength gains.